September 21-28 is Michigan Trails Week – a week created to encourage Michiganders to get out and enjoy any of Michigan’s 12,000 miles of trails. 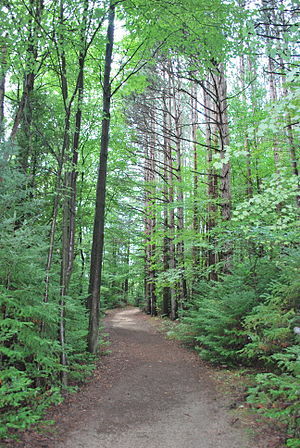 In addition to the Pure Michigan beauty awaiting those who take to the trails this week, Michigan Trails Week also offers a variety of events statewide, featuring activities from trail hikes to trail runs to bike rides and free kayaking programs through Recreation 101. There is something for everyone. All Michigan Trails Week events are found at http://www.michigan.gov/trailsweek, and more are being added, so check back often. The week culminates on Sept 28, National Public Lands Day, with free entry to all federal and state parks and participating local parks throughout Michigan. Access to Michigan state parks normally requires a Recreation Passport; that will be waived on Sept. 28. This entry was posted on September 22, 2013 by mittenkidz in Summer Fun and tagged Family Fun in Michigan, family hiking trails, hiking in Michigan, hiking with kids, Michigan Recreation 101, Michigan trail week, Michigan Trails Week, National Public Lands Day, Pure Michigan.